Master Clubs is an exciting Club program for kids especially designed to teach children how they can serve God now. Master Clubs is a fun discipleship program for kids that uses the King James Bible (KJV) and teaches Baptist doctrine! Our Scripture Memory System sets us apart from most of the other Club programs available today. In Master Clubs, children are not taught to memorize 200 verses in 30 weeks. Instead, we have carefully selected 20 verses per year for Beginners and Primaries and 30 verses per year for Juniors. These verses are life-changing verses that we explain to the child and reinforce in the project workbooks. Our goal is for each child to understand what the Scripture means and then teach him how to live out those truths in real life. We help children develop godly habits by providing opportunities for them to practice what they have learned during the Bible lesson or during Book Time. Each workbook has projects that the children complete which might be making cookies for a neighbor, visiting elderly in nursing homes, cleaning a neighbor's yard, writing notes to siblings, parents, and the pastor, and many more. This helps establish early in the child's life those habits that all Christians ought to possess. Children can serve God now. Although we wouldn't teach this, children assume that they must wait until they are "older" before they can serve God. In Master Clubs a child will learn that he or she can serve God now by teaching a Bible story, preaching to a group of children, sharing the Gospel with others, and many other opportunities. Our goal is to plant seed thoughts in the mind of each child that God can use them to do great things, and it can start today! Throughout our curriculum, children are presented with character building stories. They are taught how to work through a situation making the best choices. Honesty, integrity, loving others, kindness, and obedience are just a sampling of what these young hearts will investigate in Master Clubs. Many have said that if they could sum up Master Clubs in one word it would be Discipleship. Many have mistakenly thought that if their children go through elementary and high school attending Sunday school and church that they will be discipled. Not so. Discipleship is something that happens "on purpose." If there is no plan to disciple children in your church, chances are that they are not being discipled. Discipleship goes beyond sitting in a room and hearing a lesson taught. Discipleship is one on one interaction between a child and a leader. This allows you to reach into the hearts of children and help them grow from where they are now to what God wants them to be. Jesus was a master teacher and discipler, yet He chose to only closely disciple twelve. Master Clubs creates the perfect opportunity for you to begin that discipleship relationship with the children in your church and community. Because Master Clubs is catering only to Baptist churches, we can teach kids truths that would never even be mentioned in most curricula. For instance, we can teach kids on their level about the Lords Supper, baptism, eternal security, and things to come. 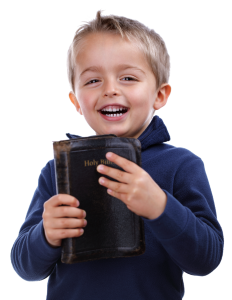 Our goal is not to provide curricula that every denomination can use but to provide sound Bible teaching about key doctrines in such a way that a child can comprehend them.